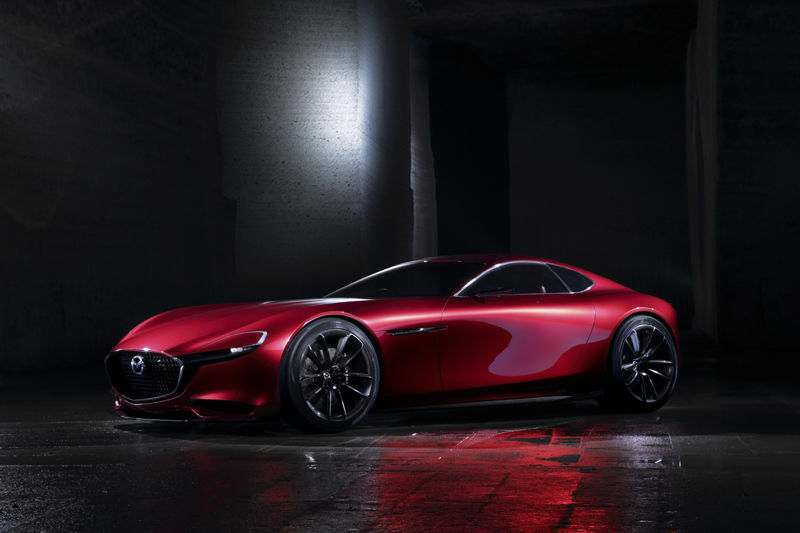 Fans of rotary engines, Mazda introduced last night what could become the Mazda RX-9 at the 44th International Auto Show in Tokyo, code named the RX-Vision concept. This sports coupe was very well received by the public. This therefore reveals the new generation of SKYACTIV-R engine (R for rotary). The modern style, perfectly fits the line and the authenticity of the Mazda heritage. low and wide frame immediately ascertain the design of a sports car. Obviously, the designers focused to retain many elements of Kodo design,the brand image. Even after having discontinued the RX-8 in 2012, Mazda has always advanced research and development of its rotary sports coupe.